But Mshomba’s story is also one of humanity at its finest. It begins in a small village in Tanzania. In the 1960s, educational opportunities were scarce. “Only about five percent of students who went to primary school were selected to attend secondary school,” Mshomba explained. By the grace of God, he was one of the fortunate few able to move on. But, there was only one university in Tanzania at the time and his chance to attend was even smaller. Little did he know then that one day he would be granted a full tuition scholarship to La Salle University and continue on to get his master’s from the University of Delaware. Nor could he imagine he would get his Ph.D. from the University of Illinois, where he met his wife, Elaine, M.Ed. ’01. Now, as a professor of economics and a philanthropist, Mshomba knows that his educational opportunities changed his life. “The pieces of my life fell together in a way that I couldn’t have predicted,” he said. Like all journeys of faith, Mshomba couldn’t always see the stairs. But he took the next step anyway, thanks to the help of many people along the way. And that is what led him to one of his greatest achievements—opening a library in his home village of Sinon in Tanzania. The Mshombas saw the library as a way to reach out to the community that, although blessed with more opportunity and schooling than he knew as a boy, still lacked access to textbooks and other educational resources. So, in 2008, with the help of six extraordinarily dedicated volunteers on the ground, they began the process to establish a library and continued as their resources allowed. In 2013, the library was officially blessed by Reverend Sawero and his associates from the local parish, but it stood essentially as a frame and still required things like windows, a walkway, and books. The same year, Mshomba was honored with The Warren E. Smith, M.D., ’54 Award, which recognizes an outstanding African or African-American leader in the community. When members of the Enactus student organization learned of Mshomba’s story, they decided to get involved and successfully raised enough funds to complete the building and buy some books. 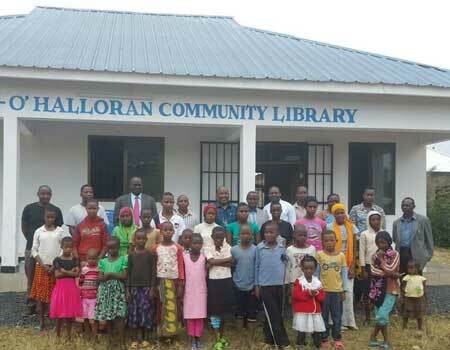 The Durning-O’Halloran Community Library was officially inaugurated on December 31, 2016. The name is in honor of two families Mshomba credits for making it all possible. The Durnings are the family that took him in when he came to La Salle as a student from Tanzania. He affectionately refers to them as his “American parents.” The O’Hallorans are Elaine’s parents, who generously gave financial support for the project. “We now have some textbooks for a number of subjects,” Mshomba says. 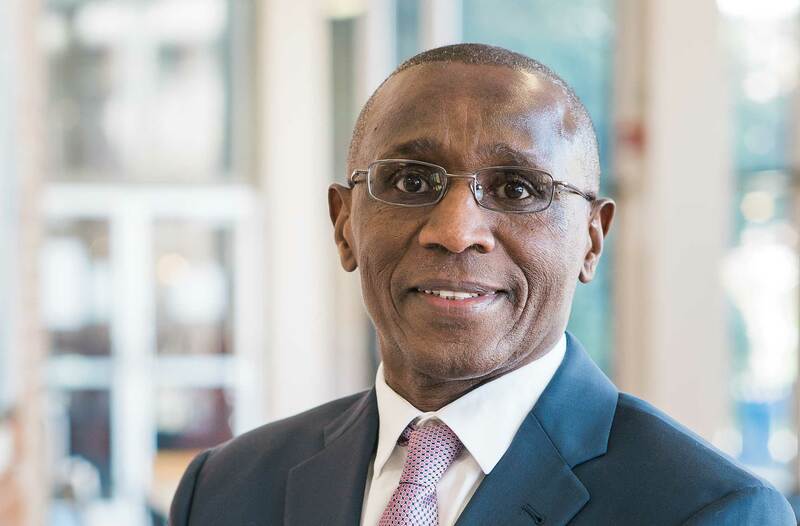 “Even with a shortage of books,” Mshomba said, “the library provides an invaluable service to the community.” The library isn’t just for students. Anyone from the community can take advantage of the facility, which has electricity, a well-lit and quiet place to read and study, wi-fi access, and three laptops. The biggest challenge now, Mshomba says, is accommodating all of the visitors at one time. “It’s not a bad problem to have,” he said. The library might be small, but its impact is significant. Through it, students in the area have access to the resources they need to succeed. It also serves to encourage the young people of the community to continue on their educational journey.